YANGON — At a time when Myanmar is making international headlines for its fledgling civilian government and religious and ethnic tensions, a new documentary called “Burma Storybook” shines light on the country’s unrecognized resilience through poetry. Directed by Czech-born Petr Lom and produced by Dutch filmmaker Corinne van Egeraat, the 80-minute documentary is due to have its Myanmar premiere as an opening film at the Human Rights Human Dignity International Film Festival in Yangon on Wednesday. Although it features the works of several Burmese poets—along with their brief portraits and expressions of struggle through poetry—the narrative of “Burma Storybook” focuses on 70-year-old dissident poet Maung Aung Pwint, who has spent many years of his life in prison. The filmmakers follow their characters from the end of 2013 to late 2015, taking a composed approach in what were dramatic times, as the country braced itself for its first free general election in decades. 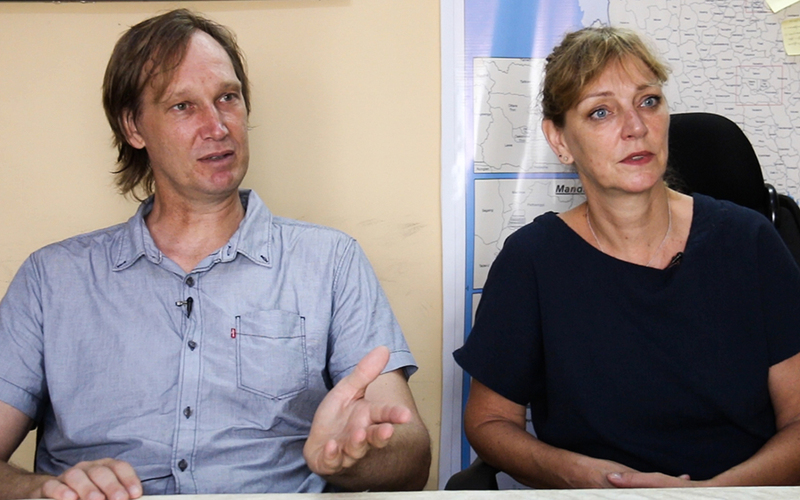 Petr, a Harvard-educated director with more than a decade of experience in documentary filmmaking, and his wife Corinne van Egeraat, a producer and independent filmmaker with a background in theater, talked to The Irrawaddy about their latest work. The duo, whose previous collaboration—Ana Ana—(Arabic for “I am me”) was nominated for best film at the International Documentary Film Festival Amsterdam (IDFA) in 2014, said they wanted to tell a universal story with a theme of injustice. They had learned that, historically, many poets in Myanmar were politically engaged, and it was this discovery more than an interest in poetry that inspired them to make the film. “Our real goal is to make something timeless. We’re not doing reportage and we don’t want to make a story that would become out-dated very fast,” said director Petr Lom. “Poetry is a storytelling tool and we wanted to make a film about how the country is emerging from the past. “We thought that poetry would be a very good way to do that,” he added, stressing the challenge of transforming poetry into a film, especially when the poems are in a different language. Poems of several artists they met during the filming were either recited on camera or heard in voice-overs and ranged from a portrait of Myanmar to the story of a newly wed couple. “It’s really beautiful to see how [they] can survive imprisonment—two people in our film spent a lot of time in jail—through art or by finding beauty in a very horrible place, and how their art or poetry helped them to heal from past suffering,” said Corinne van Egeraat. The film mainly follows poet Maung Aung Pwint, who has been suffering from Parkinson’s disease after spending several years behind bars, and his relationship with his wife, grandson, and a reunion with his long-lost son. Based largely at Maung Aung Pwint’s home in Irrawaddy Division’s Pathein, the documentary also visits Yangon, Shan State, and several other places, although locations in the film are not specified. “Burma Storybook” gives a glimpse into the world of contemporary Myanmar, touching on the issues of buses, trains, flooding, and the recent soar in Internet use that the country has experienced during its transition to becoming a more democratic nation. 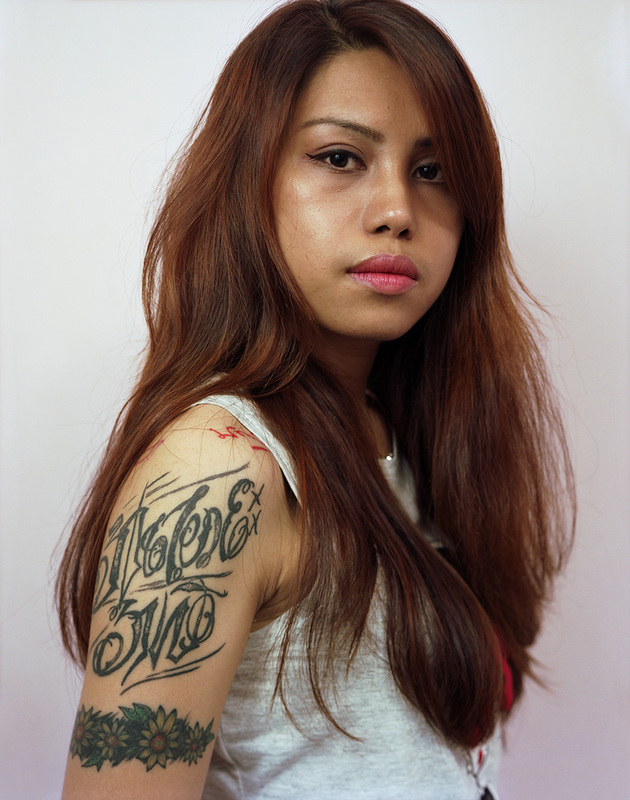 Mae Yway, a bisexual feminist covered in tattoos, features in the documentary as a striking representation of Myanmar’s new generation of poets. “It tends to imply that you are making kind of angry films, or rights or advocacy films, which have very honorable purposes when you want to change things,” he said. “It tends to make the filmmaking a little bit less important. It’s kind of like the reason why some serious poets we met here don’t like the ‘political poet’ label,” he explained. As films made by foreigners often face challenges resonating with local audiences in Myanmar, the duo hoped the Burmese audience feels the film was made by a compatriot, as they tried to present how the country is healing from its traumatic political experience in a respectful way, they said. “That’s basically our dream—that someone doesn’t feel that it’s [made by] an outsider and that they feel that those distinctions and matters are gone,” said Petr. The Power of Quiet‘Burma Storybook,’ a film about poetry and resilience, is due to have its Burmese premiere as the opening movie at the Human Rights Human Dignity International Film Festival in Yangon on Wednesday.The film is directed by Czech-born documentarian Petr Lom and produced by Dutch filmmaker Corinne van Egeraat.They talked to The Irrawaddy on Tuesday about the film and the distinct perspectives on the country that it brings to the audience. Accompanying the film is a photography and poetry book featuring famous contemporary poets in Myanmar. The book offers a unique perspective of the country, recounting the poets’ work and stories about writing under the dictatorship and strict censorship, the duo said, with the portrait photos taken by award-winning photographer Dana Lixenburg. The film had its world premiere at the International Film Festival Rotterdam in January and is now touring international film festivals.